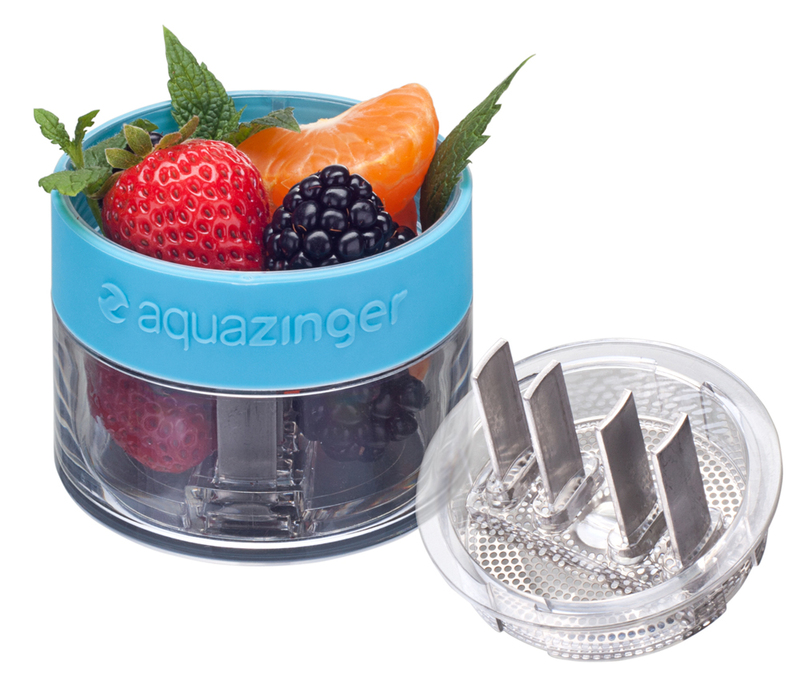 If you're looking for a way to add flavor to your water while avoiding unwanted chemicals, the Aqua Zinger is an easy and convenient way to make that happen. I’m someone who probably doesn’t get the daily water intake I should, mainly because I find water boring. I’m always looking for something to spice it up, whether it be Crystal Light, Propel, or Mio. While using those products made water more enticing, they also have artificial sweeteners and other chemicals I shouldn’t overly consume. The next step on my water-flavoring journey was cutting up fresh limes and adding a wedge to a tall glass of ice water. I find this to be incredibly refreshing and adds plenty of flavor to allow me to enjoy my water more. There was only one problem… it’s not a very convenient situation for work, where I’m constantly busy and don’t have time to cut up lime wedges or a place to store and access them regularly. I then stumbled upon ZingAnything’s Aqua Zinger. 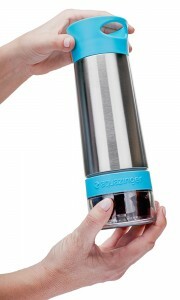 The Aqua Zinger is a water bottle that infuses water with various flavors of natural products. A compartment at the bottom of the water bottle offers plenty of room to add things like strawberries, limes, mint, ginger, oranges, or any other fruits and herbs you prefer. Metal grinders in the bottom cup mash up the inserted foods as you twist on the body of the bottle, although I advise giving the bottom cup’s cap a few spins before putting the bottle on. 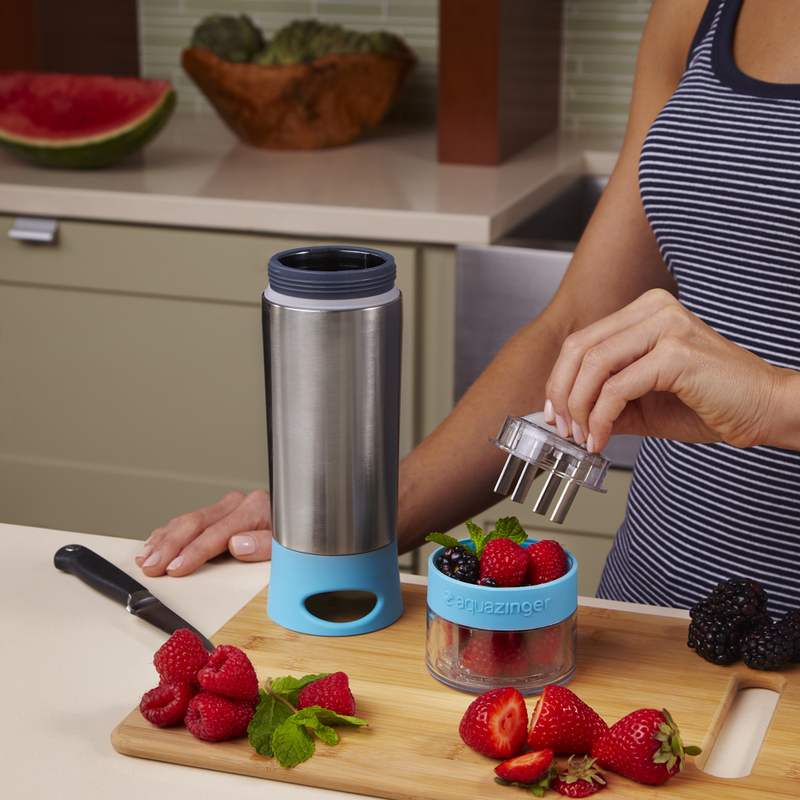 A metal mesh on the bottom cup allows flavors to infuse the water without allowing in unwanted pulp. The bottle itself holds 20 oz. of water and supports a refill before changing of ingredients is necessary. The stainless steel/BPA-free plastic construction makes cleaning very easy and gives the product a sturdy, reliable feel. The only thing to be careful of when cleaning are the metal grinders in the bottom cup as they do have sharp edges. Fortunately, I haven’t had any incidents while cleaning, just something to be aware of. The one negative that I’ve run into so far is the lip at the top of the metal bottle where you drink from. Water will occasionally build up around the lip and dribble out as soon as the cap is unscrewed or you start drinking. It’s a minor complaint as this flaw hasn’t decreased my usage, but hopefully it’s something that will be addressed in future versions of the product. I’ve used the Aqua Zinger on a daily basis for several weeks now and I absolutely love it. The ZingAnything website offers several ideas for different flavor combinations. Some of my favorite ingredients are limes, raspberries, and strawberries, in any combination. I look forward to trying out different things to find my favorite combo. Bottom Line: If you’re looking for a way to add flavor to your water while avoiding unwanted chemicals, the Aqua Zinger is an easy and convenient way to make that happen. Imagine a third-person, action RPG without any of the hassle. The reality is SINNER: Sacrifice for Redemption. A dated gameplay experience leaves more of a fear of playing The Conjuring House than of the terrors within.